This webpage includes a bulleting board and detailed history of the Bryan & College Station College Station area in Brazos County. If you have a message of interest to our readers, send me an email or mail me a letter and I'll post it on the Bryan College Station Bulletin Board. Also, any stories or photos of early day Bryan College Station are always needed. Thanks! 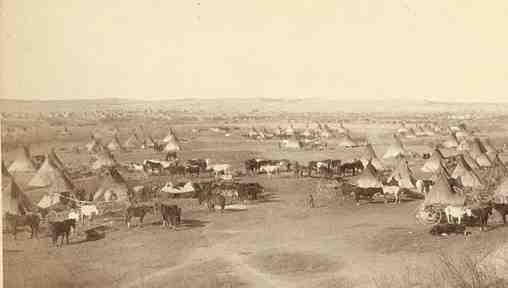 For thousands of years, the region that was to become Bryan College Station was home to a variety of Indian tribes that made their villages along the Brazos river and hunted the area that eventually became Bryan. The area around the future site of Bryan was settled by members of Stephen F. Austin's colony in the 1820s and 1830s. In 1813, at the age of twenty-one years, Stephen Austin was elected to the territorial Legislature of Missouri, and was reelected to that position each year until 1819, when he moved to Arkansas. 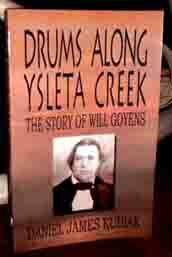 Meanwhile, Stephen's father, Moses Austin, received a grant of land in Texas for purposes of colonization. Moses Austin died soon after returning to Missouri from a trip to Texas, but bequeathed his grant to Stephen with instructions to carry it to a successful completion. Austin is remembered in Texas history for his many efforts on behalf of Texas before, during, and immediately after Texas' Revolution with Mexico. His contributions to Texas included: long and perilous pilgrimages to Mexico on behalf of Texas; his unwillingness to counsel his people to take up arms against the Mexican government as long as any hope for peace remained; his firm and decided voice, speaking words of encouragement and hope during the darkest days of the revolution; and his laborious travels in the United States to obtain needed support for his struggling countrymen. After devoting the best years of his life to the cause of Texas, Austin was overcome by disease and on 27 December 1836 died an untimely death at the age of forty-three years. The Brazos River was named by the Spanish: Brazos de Dios, or Arms of God. 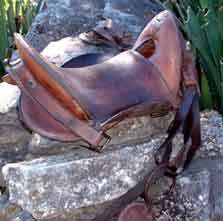 Spanish explorers traveled the “El Camino Real,” or King's Highway, as early as the 17th century. Now called OSR, this Old San Antonio Road was the direct route between the East Texas missions and Mexico. Today it is the north and third boundary of Brazos County. 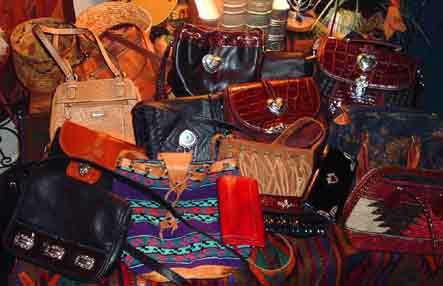 In 1821, Stephen F. Austin brought 300 families to Texas under an agreement with the Mexican government. Members of the Millican family were among the first settlers in this area, near the confluence of the Brazos and Navasota Rivers. The local population rapidly increased over the next 20 years and the Congress of the Republic of Texas created Navasota County in 1841, which became Brazos County in 1842. Boonville was named the county seat and a log-cabin courthouse, the first of three in Boonville, was built there. The successful operation of the cotton plantations was observed by government and railroad officials in Houston. When the Houston and Texas Central Railroad Company began to expand their rail lines northward during the late 1850s, the planters in the Calvert area sent slaves out to the Millican region south of present-day Bryan to help clear the railroad right of way and help railroad workers lay the rail ties. 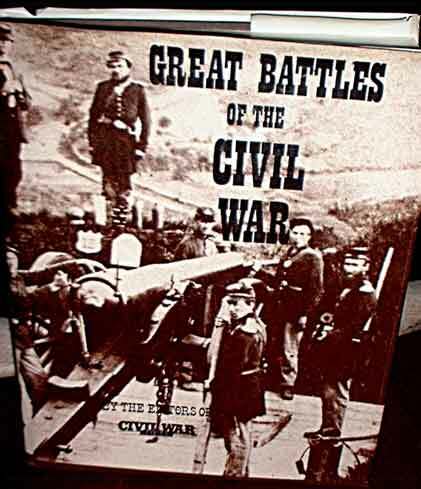 With the outbreak of the civil war in 1861, the railroad line had only reached Millican, which was about 15 miles south of present-day Bryan. Millican served as the the terminus for the railroad from 1860 to 1866 and a major freight shipping point for the Confederacy. In 1859, the Houston and Texas Central Railroad graded a railroad bed through the area that was to become the settlement of Bryan. This motivated the nephew of Stephen F. Austin, William Joel Bryan, to sell land for a new townsite to the railroad company. 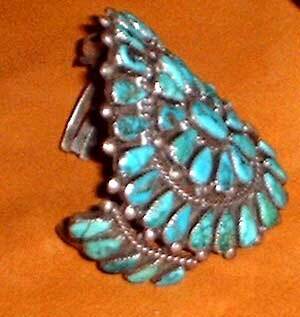 The townsite was named Bryan in honor of William Joel Bryan and was formally platted in 1859. 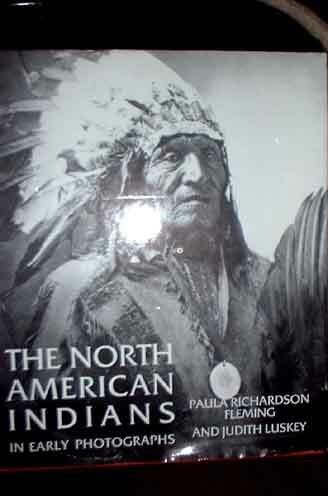 EDITOR'S NOTE: Bryan was a native of Missouri and grandson of Moses Austin and Nephew of Stephen F. Austin. 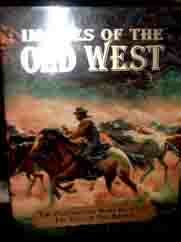 During the Texas Revolution, Bryan founght in the battle of Bexar. However, construction of the railroad was halted at Millican, eighteen miles southeast of Bryan by the coming of the Civil War. 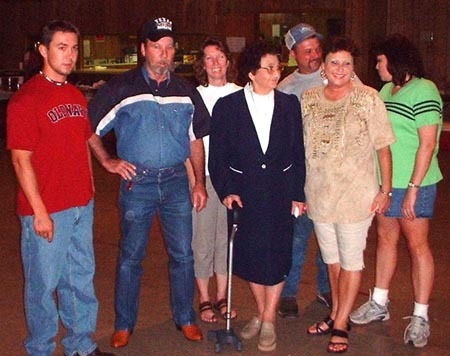 Nonetheless, a community of some 300 inhabitants grew up at the townsite that was to become Bryan. A post office was opened in Bryan in 1866 officially creating the town of Bryan. EDITOR'S NOTE: In 1841, Navasota County was created near the Navasota River and the Ferguson Cabin served as the first county courthouse since it was there that the first court convened and where county officials were first elected. In 1842, the Texas Congress changed the name of the county to Brazos County with the new county seat in Boonville. Two more frame courthouses were built in Boonville in 1846, and 1855. In 1866, the voters of Brazos County voted for Bryan to replace Boonville as the county seat. In 1870, Brazos County built it's fourth courthouse on the site where the current courthouse stands. In 1892, Eugene Heiner designed the 5th courthouse. EDITOR'S NOTE: In 1954, Bryan built it's 6th (and current) courthouse. The railroad reached the community in 1867. That year also saw the arrival of telegraph service and the first general store. The Bryan City Cemetery was established in 1868 and occupies more than 50 acres in North Bryan. Many residents of Millican and Boonville moved to the new county seat of Bryan in the 1860s, and the first courthouse was built in 1871. Though the city voted to incorporate in 1867, it was not formally incorporated until 1872 by an act of the Texas Legislature. Bryan initially adopted an alderman style of government. The Bryan News-Letter became the first newspaper in the community in 1868, followed in 1869 by the Brazos Eagle, the weekly Brazos Pilot in 1877, and the Bryan Weekly Eagle in 1889. The Eagle became a daily in 1913. A number of other newspapers have been published in the community over the years. The Bryan Independent School District was established in 1877, though the first school was not ready until 1880. The first black public school was also opened in 1880. The Bryan Fire Department was established on July 5th, 1871, incorporated by the State of Texas as Hook and Ladder Company No. 1. The Department consisted of one hand drawn ladder truck with six ladders ranging from 12 to 14 feet long, pike poles, axes, a pull down hook and chain and twelve leather buckets. On June 3rd, 1881, Hook and Ladder Company No. 1 amended their charter and reorganized as Protection Engine Company No. 1, City of Bryan, Texas. 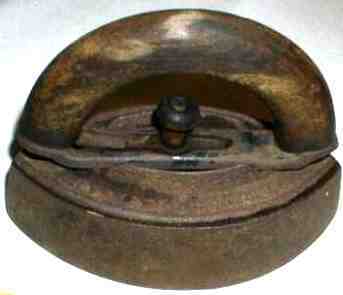 One month earlier, a committee had been appointed to raise funds for the purchase of a steam fire engine. That fire engine turned out to be the first piece of American La France fire apparatus to come to Texas. With the purchase of the steamer, a major problem faced the volunteers - the Company did not have sufficient funds to buy their own horse team. A standing reward of $5 was offered to the first team to arrive at the fire house to handle the propelling chores when called to duty. A reward of $1 was offered to the second team that arrived. In 1914, the first piece of motorized equipment was purchased and in 1921, the Company hired its first full-time employee. The employee was on duty seven days a week, 24 hours a day and was paid a "none too attractive" salary. When he wanted to take a day off, he had to pay for a replacement. The second full-time employee was hired in 1928 and by 1960, the Department had grown to 28 full-time employees and one volunteer. Today, the Bryan Fire Department employees over 100 full-time firefighters and staff that operate out of five fire stations. The Department has specialized teams trained in building collapse, confined space, high angle rescue, lost person/wilderness search, trench rescue, and water rescue. They are proud of our history and the service of our forefathers and plan to continue the commitment and dedication they showed in serving the citizens of Bryan. Texas A&M College was opened in nearby College Station in 1876. The college was located four miles outside of Bryan on land given to the state by Harvey Mitchell. For its first 25 years or so, Texas A&M had no modern sewage system and drinking water came from cisterns. Students had to borrow bath tubs from the faculty. Overcrowding meant that many students had to live in tents, and those lucky enough to have a solid roof over their heads still relied on wood stoves for heat. Texas A&M University, often called A&M or TAMU, is a public research university located in College Station, Texas. 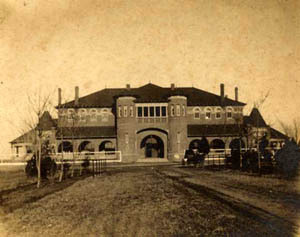 Texas A&M was the first public institution of higher education in Texas, opened in 1876 as an agricultural and mechanical college. In 1963, the Texas Legislature renamed the school, Texas A&M University, to reflect the institution's expanded roles and academic offerings. The letters "A&M" no longer have any explicit meaning but are retained as a link to the university's past. 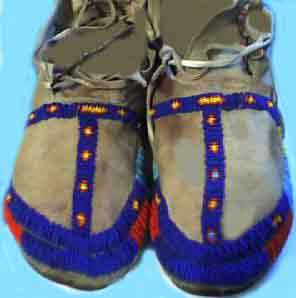 The nickname "Aggie" refers to students, alumni, and sports teams of Texas A&M. Texas A&M's designation as a land, sea, and space-grant institution reflects a broad range of research with ongoing projects funded by agencies such as NASA, the National Institutes of Health, the National Science Foundation, and the Office of Naval Research. Working with agencies such as the Texas Agricultural Experiment Station and Texas Cooperative Extension, Texas A&M has a direct presence in each of the 254 counties in Texas. The university offers degrees in over 150 courses of study through ten colleges and houses 18 research institutes. As a senior military college, Texas A&M, is one of three public universities with a full-time, volunteer Corps of Cadets. It provides more commissioned officers to the United States Armed Forces than any other school outside of the service academies. By 1884, Bryan was a city of 3,000 with two schools, two banks, an opera house, a cotton gin, an Odd Fellows hall, two planing mills, and two wagon and buggy factories. In 1889 the city obtained electric lighting and a waterworks. 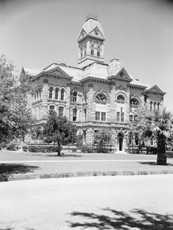 When cracks appeared in the foundation and walls of the original Brazos County Courthouse, the building was torn down and replaced with a Victorian-style stone courthouse building that stood until 1954. 5th Bryan Courthouse Built in 1892(first stone courthouse). Current (6th) Bryan Courthouse built in 1954. 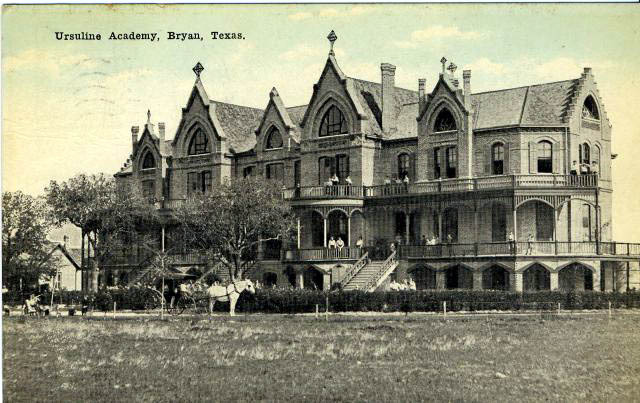 Several other colleges and seminaries were built in the Bryan area toward the end of the 1800's including the Bryan Male and Female Seminary, the Texas Odd Fellows University and Orphanage, Bryan Academy, and Allen Academy. In 1901, the Villa Maria Ursuline Academy was moved to Bryan. In 1902, a Carnegie Library was founded with a $10,000 gift from philanthropist Andrew Carnegie. 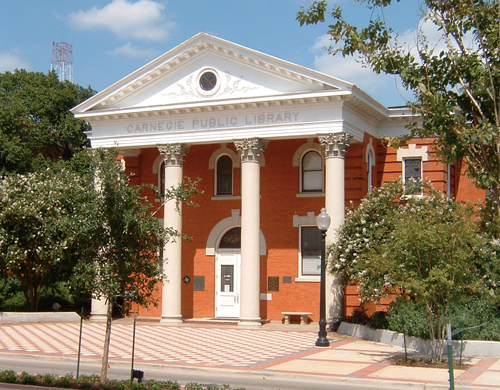 Today, the renovated library houses the Carnegie Center of Brazos Valley History. Carnegie Library (Photo taken in 1909). Two Baptist educational institutions, Texas Women's College (1902) and the Bryan Baptist Academy (1909) also located in Bryan. In 1910, Bryan's population topped 4000 and the city built an interurban railroad to College Station, which operated until it was replaced by bus service in the 1920s. In the early decades of the twentieth century, Bryan was a major cotton-shipping point for the region. In 1917 Bryan adopted the commission form of city government. The city continued to grow, reaching 6,307 inhabitants in 1920. In 1928,the LaSalle Hotel was built on South main Street and today has been restored and placed on the National Register of Historic Property. Bryan Air Force Base, six miles west of Bryan in Brazos County, was originally Bryan Army Air Field. The base was activated in 1943 as an instructors' school assigned the task of developing a standardized system of instrument flying. WWII Army Pilots Trained at Bryan Base on these P-51 Mustangs. Bryan Field turned out over 8,000 instructors qualified to teach pilots to fly with instruments alone. The Full Panel Attitude System developed at the base was one of the most significant contributions the base made to pilot training. The instrument-training school at Bryan AAF was the only one of its kind in the United States Army Air Forces. The base became Bryan Air Force Base upon separation of the air force from the army in 1947. It was deactivated in May 1961. The land and buildings were deeded to the Agricultural and Mechanical College of Texas (now Texas A&M University) in 1962 and converted into the Texas A&M University Riverside Campus. In 1958, Townshire was Bryan's first major shopping center. This was followed by the Manor East Mall which opened for business in 1972. In the 1930s the North Oakwood subdivision, lying between Bryan and College Station, voted to incorporate with Bryan and established the boundary between the adjoining communities. Though some local businesses were hard hit by the Great Depression, the community received some economic stimulation when State Highway 6 was completed through Bryan and College Station in 1936. Bryan, the county seat of Brazos County, is located in west central Brazos County and is crossed by State highways 6 and 21, U.S. Highway 190, Farm roads 158, 1179, 1687, and 1688, and the Missouri Pacific and Southern Pacific railroads. Along with College Station, the home of Texas A&M University, which adjoins Bryan to the south, the city is the urban center of Brazos County. 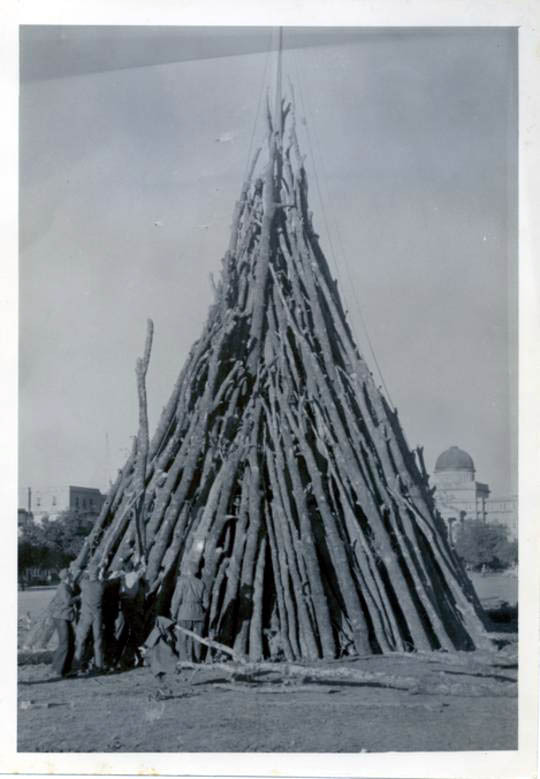 The Aggie Bonfire was first constructed in 1909 as freshmen from the Corps of Cadets foraged for scrap material to burn before the annual game with the University of Texas. This annual tradition continued (except in 1963 when the Bonfire did not burn following the assassination of President Kennedy). By 1936, students were gathering lumber from the lands surrounding Easterwood Airport, and by 1943 the 25-foot high stack was constructed entirely of logs. The first spliced center that stood 50 feet tall was used in the 1947 Bonfire. By 1954 the annual log pile had reached a height of 73 feet. In 1955, the stack was moved from Simpson Drill Field to Duncan Field where it was built every year until 1992, when the first Aggie Bonfire was built on the Polo Fields near New Main Drive. In 1963, the only year until 1999 when Bonfire didn't burn, the stack remained unlit in observance of President John F. Kennedy's death. The 1969 Bonfire towered above the campus at 109 feet, but in 1970 the University placed restrictions on the stack, keeping Bonfire to 55 feet high and 45 feet wide. In 1979, more than a decade after women were first admitted to the University, the first females were admitted to the cut site. In 1994, the first stack built for the game fell a week before it was to be burned as the soil shifted from heavy rains. 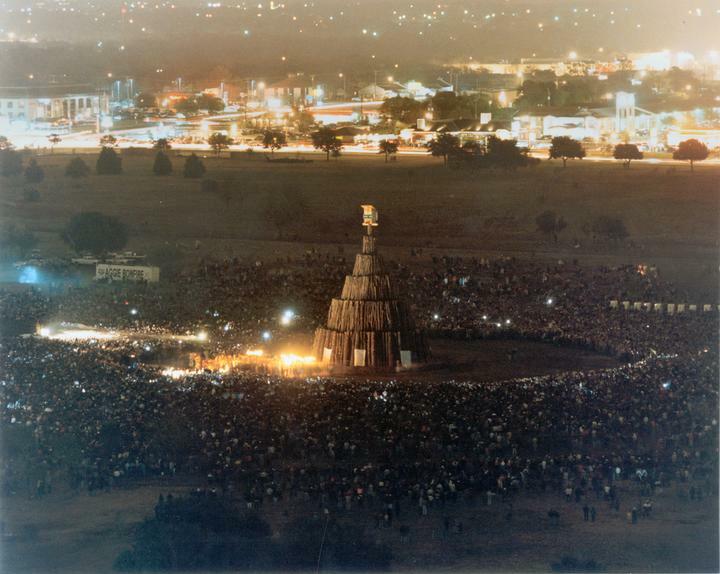 The stack was rebuilt using the same logs and burned on time before the A&M-UT game. At 2:43 a.m. on Nov.18, 1999, the last Bonfire shifted, swayed, and fell to the ground, pinning students beneath the tumbled pile of logs. Twelve people were killed and 27 others were hurt. Reveille is the official mascot of Texas A&M University. She is the highest ranking member of the Corps of Cadets, and she is a Five-Star General. Reveille I came to Texas A&M in January 1931. A group of cadets hit a small black and white dog on their way back from Navasota. They picked up the dog and brought her back to school so they could care for her. The next morning, when "Reveille" was blown by a bugler, she started barking. She was named after this morning wakeup call. The following football season she was named the official mascot when she led the band onto the field during their half-time performance. When Reveille I died on January 18, 1944, she was given a formal military funeral on the gridiron of Kyle Field. She was then buried at the north entrance to the field, as all Reveilles are, facing the scoreboard so that she can always watch the Aggies outscore their opponent. Before naming Reveille II, there were several other unofficial mascot, such as Tripod, Spot, and Ranger. It was not until a later Reveille that she was a full-blood Collie. 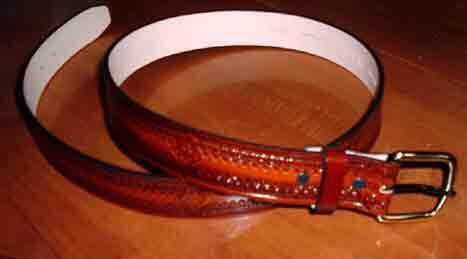 The most current Reveille is Reveille VII and was inducted in 2001. Reveille is the most revered dog on campus. Company E-2 has the privilege of taking care of Reveille. If she is sleeping on a cadet's bed, that cadet must sleep on the floor. Cadets address Reveille as "Miss Rev, m'am." If she is in class and barks while the professor is teaching, the class is to be immediately dismissed. Reveille is a highly cherished mascot and receives only the best. The George Bush Presidential Library and Museum is also a research institution, totally integrated into the academic environment of Texas A&M University. The Bush Library's collections include 38,000,000 pages of official and personal papers, 1,000,000 photographs, 2,500 hours of videotape, and 70,000 museum objects. These rich primary sources document George Bush's distinguished public career as congressman, Ambassador to the United Nations, Chief of the U.S. Liaison Office in China, Chairman of the Republican National Committee, Director of the Central Intelligence Agency, Vice-President, and President. Included in the Museum's exhibits are items ranging from a 1925 film of George Bush's first steps in Kennebunkport, Maine, to records and memorabilia from his tenure as the 41st President of the United States. The Museum also contains a special section is dedicated to former First Lady Barbara Bush and a classroom designed specifically for students from kindergarten through high school. Operated by the National Archives and Records Administration (NARA), the George Bush Presidential Library and Museum is the tenth Presidential Library in the United States. The library is located on the Texas A&M University campus in College Station, Texas. 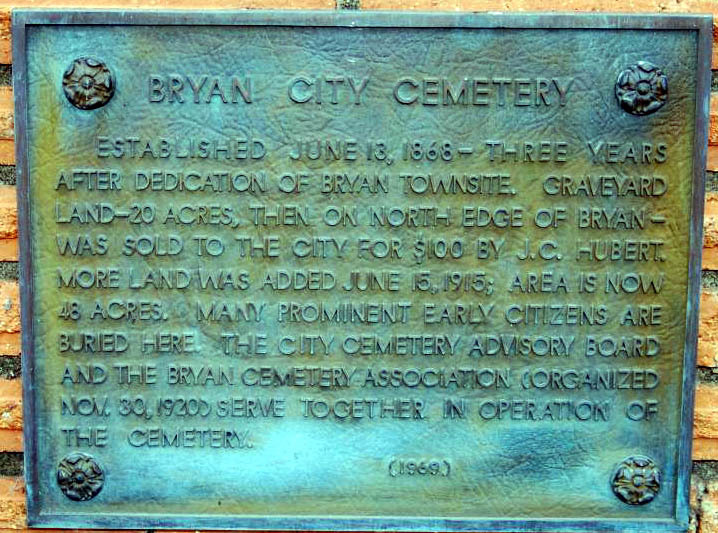 The Bryan City Cemetery was established with the purchase of 20 acres of land for $100 from J.C. Hubert, in what was then the northern outskirts of the City of Bryan. Additional acreage was purchased from time to time until at present the original tract has increased to 48 acres, all enclosed in cyclone and wrought iron fencing. In 1945, Mr. D. Mike donated 1.08 acres which provided complete frontage on Texas Avenue. This, with the original tract, seemed adequate for our cemetery needs for many years ahead. However, looking still further into the future, the City purchased an additional 18.5 acres from the American Legion Post 159. 9.807 acres of this property was purchased for $10 through George E. Kristynik, Commander and its Adjutant, James F. Aldredge. In 1947 a space was set aside for the low-cost burial of infants under five years of age. This was appropriately named Babyland. The original tract of 250 infant grave spaces has been exhausted, but another of similar size behind the monument is in use and additional plots will be opened as needed. The $50,000 Myrtie Astin Memorial Chapel was donated by the late E.H. Astin in memory of his wife in 1950. On December 12, 1975, the Cemetery came under the operation of the Director of Parks and Recreation. In 1980, it was maintained by a 5-man crew and encompassed 48 acres. On July 2, 1990 the City Council authorized $2,000 for a contract with Garrett Engineering for the platting and master plan for a 2.5 acre area of the City Cemetery for use as the Cemetery Mausoleum Section Plat. The funds were donated by Don Adam. Buchanan/Soil Mechanics, Inc. provided engineering and surveying services for the project. On Aug. 22, 1995 the City Council authorized the purchase of additional property for Oakwood Cemetery. The cemetery is under the supervision of the City Sexton. Currently, the grounds are groomed by four full time employees. 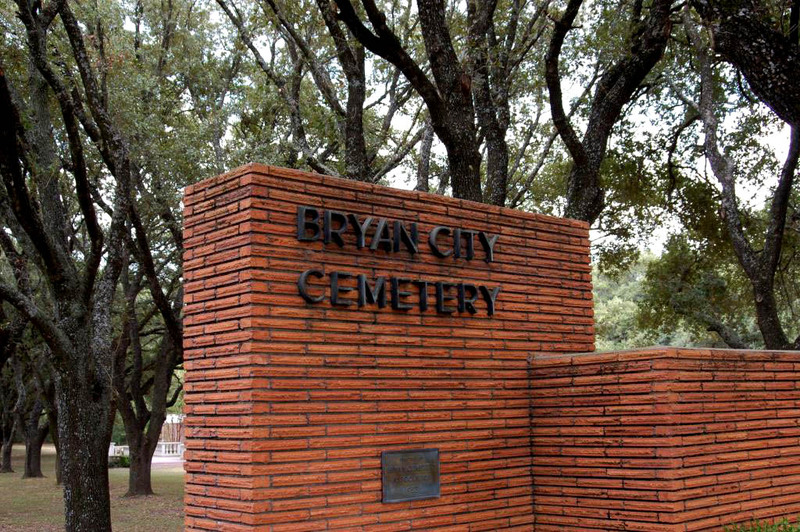 The address of the Bryan City Cemetery is 1111 N Texas Avenue in Bryan. 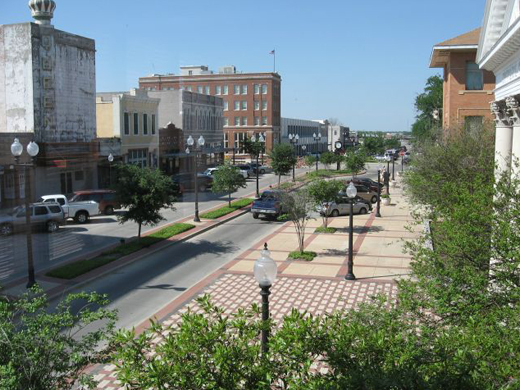 This photograph shows the restored downtown district of Bryan. 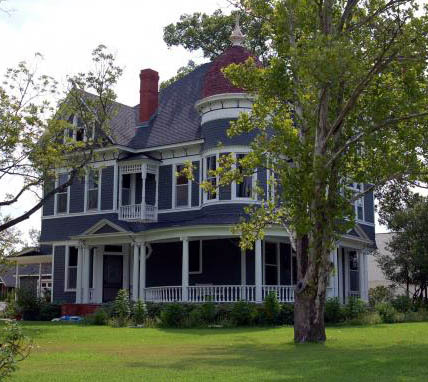 The Edwin James Jenkins home was built in 1893 by Bryan builder Charlie Jenkins (brother of Edwin James Jenkins). E.J. 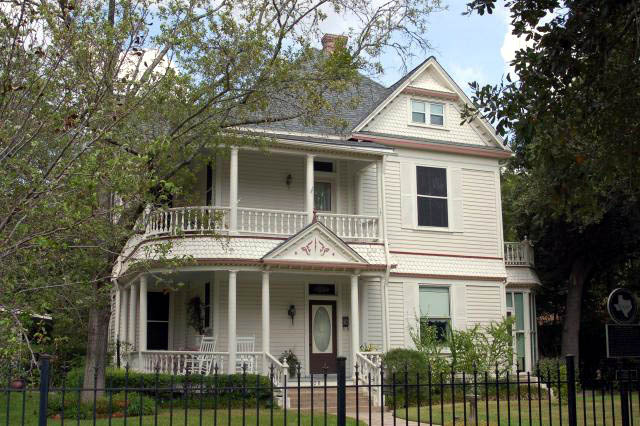 Jenkins was an Englishman who settled in Bryan in 1878 and operated a drugstore in downtown Bryan for over 50 years. He also served as Mayor and a City Councilman. 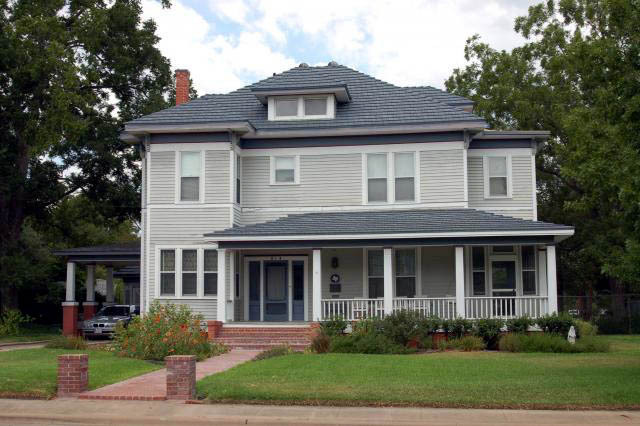 The classic Queen Anne style home features a domed tower and wraparound veranda. This beautiful Bryan home was built in 1902 for Widow Onah (Ward) Astin (d. 1944), the wife of cotton planter James H. Astin who died in 1897. 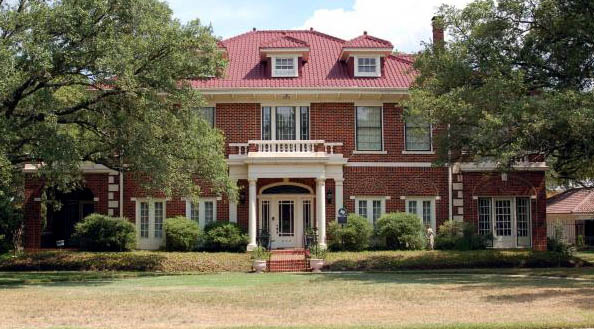 This two-and-one-half story brick Georgian Revival style home was built in 1925 for the family of Bryan merchant Eugene Edge (1879-1954) and his wife Cora Zulch (d. 1939). 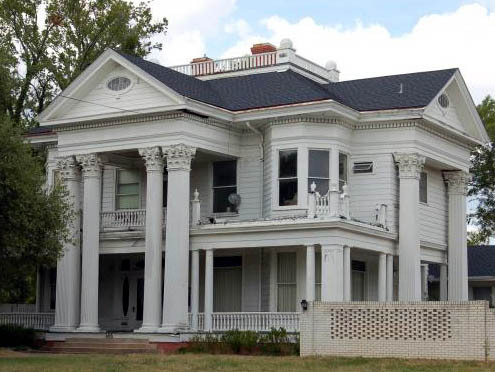 Eugene Edge Home, constructed in 1901-02 by builder Charles Jenkins,is a Queen Anne style residence with a two-story wraparound porch. The front porch, with columns and a triangular pediment over the entryway, portrays elements of the Colonial Revival style of architecture. Eugene Edge was an early day Bryan businessman. Ursuline Academy, built in 1901, provided a traditional curriculum for girls, as well as sports and music, and they maintained a large farm. The Catholic sisters of Ursuline Academy worked closely with St. Joseph's Catholic Church and School, where they also taught. Villa Maria Ursuline Academy closed in 1929. Copyright © 1996-2013. All rights reserved by Leonard Kubiak. 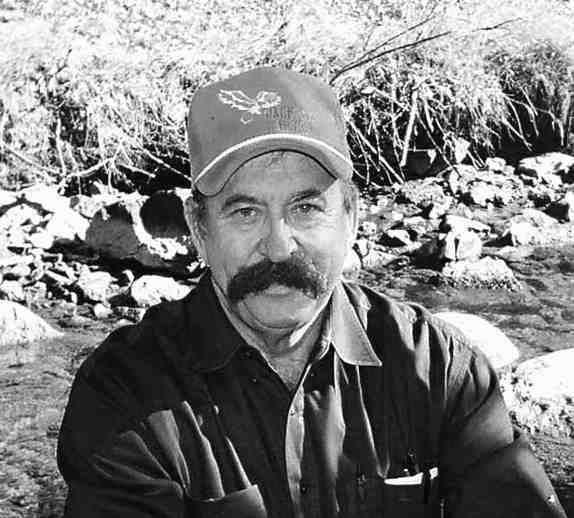 Fort Tumbleweed and forttumbleweed are trademarks of Leonard Kubiak. No Part of this Website nor any of it's contents may be reproduced in any manner without written permission. 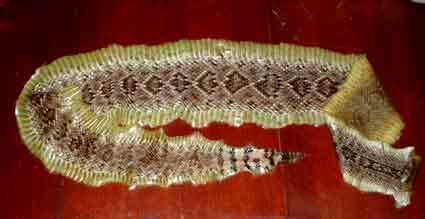 Also see our history links near the bottom of the Fort Tumbleweed Index webpage. I spend a great deal of time researching Texas history and adding topics of interest to our website for our internet viewers. 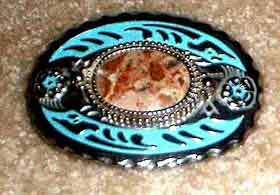 The site is constantly growing and we do take requests for new websites. 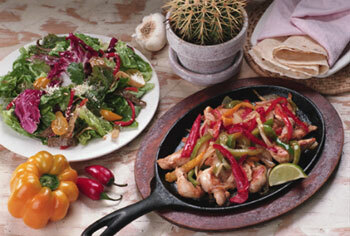 Bookmark us and come back often (and tell your friends about us).